If you want to make the air safer in your home the answer can be as simple as adding greenery. We all know it provides more oxygen, but what about the toxins already hiding the air we all breathe. According to NASA their studies show certain plants can make a big difference. Many toxins found commonly in the air can cause feelings like headaches, sleepiness, nervous system disorders, and can trigger allergy symptoms. In these studies the plants actually absorb these bothersome and harmful toxins. Homes and businesses were tested all with amazing results — cleaner air! We all worry about keeping our families healthy and safe. This is such an easy way to put the dangers of these nasty air toxins out of our mind. Most commonly Formaldehyde, Benzene, and carbon monoxide are found in the air, but let’s not forget disinfectants and radon. For those of you like me who forget to water your plants, I have found a few plants that don’t require much attention and help keep our air cleaner, too. These plants prefer to be quite dry before the next watering. 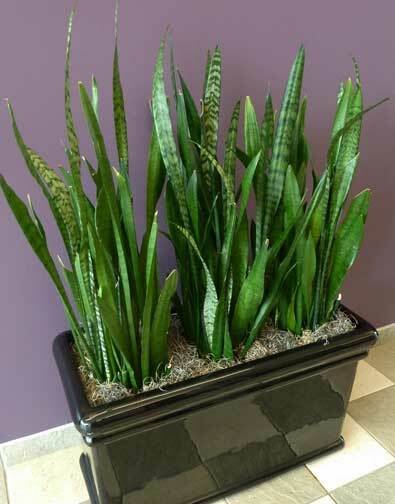 A simple snake plant absorbs many different toxins in the air. It adapts fine to much, little or no light. Although it grows much faster in more light. Its long slender leaves resemble swords, as they are tall and thin. Commonly referred to as “mother in law’s tongue” this plant is considered toxic, but has been known to be used for herbal remedies as well. The Peace Lily not so safe for pets to chew on causing aggravating symptoms in and around the mouth, is great for reducing formaldehyde. This plant is heartiest in medium to low light. 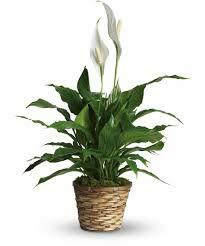 Its beautiful blooms help warm or heart in time of despair and will definitely play a big part in cleaner air. If air moldiness and allergens are a problem for your family, I find the English Ivy easiest to care for. Smaller than the other two mentioned, it can be found in climbing varieties. Preferring much light that must be indirect as to not burn the leaves of it. Want to Make the Air Safer in your Home?Making our environment inside both offices and homes have cleaner air to breath with these and many other plants is so easy. All three of these are common household plants and are all ornately different. Each absorbing different toxins that are harmful for our families. So head out to your local nursery and get some house plants. It’s that simple to make the air safer in your home.